Spring! Washington, D.C., has its cherry blossom festival. Alabama has its crepe myrtles. And Florida has its frangipani trees. They’re all beautiful at this time of year, but here at the Chicago Botanic Garden and throughout the Midwest, spring arrives with a flush of flowers on hardy, small-in-stature trees that can wake up a home landscape. 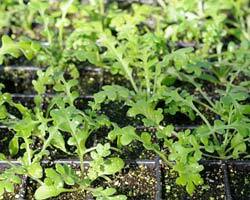 Cool-season annuals that can tolerate a light frost can be planted out early in the month after being hardened off. These include snapdragons, sweet peas, English daisies, pot marigolds, African daisies, lobelias, sweet alyssum, forget-me-nots, pouch flowers (Nemesia), baby-blue-eyes, larkspurs, love-in-a-mists, bush violets (Browallia), stocks, primroses, pansies, painted tongues (Salpiglossis), sweet Annie (Artemisia annua), and violets. 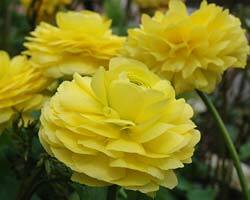 Later in the month plant Shirley, Iceland, and California poppies, and Persian buttercups (Ranunculus). 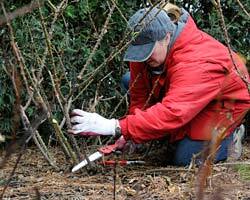 Continue to remove all garden debris from last year. Shred and compost, leaving out diseased material. Add 2 to 4 inches of compost to garden beds if not done yet. Plant trees and shrubs. Wait one year to fertilize new woody plantings. Plant perennials, hardy ornamental grasses, and roses. When planting bare-root roses, soak the roots in a bucket of water for several hours before planting. Be sure to choose a full-sun site before digging the hole. Remember that as soon as tall trees leaf out, full-sun areas can become partly shaded. Divide mature summer- and fall-blooming perennials when they are 4 to 6 inches tall. Do not divide day lilies (September), Oriental poppies (July), or iris (late July) at this time. Fertilize spring-flowering bulbs with a granular 5-10-5 or 10-10-10 mix as new green growth emerges or when they finish flowering. Remove spent flowers but allow foliage to wither completely before removing. Divide clumps of older bulbs in need of rejuvenation. Replant in sunny spot and water in well. 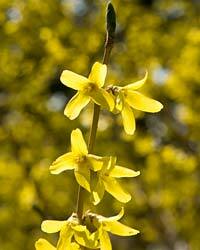 Bulbs prefer locations that are not heavily watered during their summer dormancy. Therefore do not overplant perennial bulbs with summer annuals.If botrytis blight or bud blast was a problem with peonies last year, spray newly emerging plants with an approved fungicide when the plants are 2 to 4 inches tall. When peonies reach 10 inches, stake or hoop them to support their blossoms. Avoid overhead watering. If fungus persists, consider relocating peonies to a more open, full-sun site. Move plants in the fall. If weeds were a problem last year, spread a pre-emergent weed control over lawn as weather and temperature permit. Alternatively, consider hand-pulling weeds or spot-treating weeds after they emerge with a post-emergent weed control. Serious infestations often require several treatments to control the problem. Begin uncovering roses. Remove mulch and carefully hose away mounded soil. Avoid using sharp tools around base of rosebush. Topdress soil around roses with a 6-2-0, organic, slow-release fertilizer such as Milorganite. Plant small transplants of asparagus, early potatoes, lettuce, radish, mustard, onions, peas, rhubarb, spinach, turnips, cauliflower, carrots, and all other cool-season crops as weather permits. Plant midseason potatoes in mid-April. Plant strawberries and pinch off first-year flowers to develop strong root systems. Later in the month, begin to harden off warm-season vegetable and flower transplants in a cold frame, or bring flats of small transplants outside to sunny, protected areas — but bring them back in at night. If necessary, spray fruit trees with dormant oil for insect control. If apple scab was a problem last year with crabapple or apple trees, be ready to start spraying with an approved fungicide as soon as the leaf buds begin to swell and open. Spray routine will last until two weeks after petal drop. Wet weather will only aggravate the problem. Call Plant Information for exact timing and recommended fungicides.Fertilize fruit trees and brambles. If growing fruit trees for their fruit yields, begin a spray program for insects and disease. Call Plant Information for exact timing and approved chemicals. Crab grass control can be spread on lawns in early to mid-April before weeds germinate. For severe problems, a second application might be necessary in early June. If not done in late March, there is still time to sow seeds indoors for warm-season vegetables like tomato and pepper plants and summer-blooming annuals. 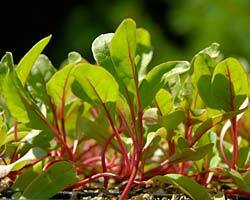 Most seeds take six to eight weeks from germination to outdoor planting. Continue to bring houseplants inside at night but outside during warm days. 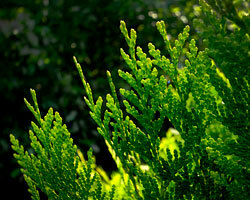 Most houseplants can remain outside when night temperatures are consistently 40 to 50 degrees. When in doubt, wait until mid-May before placing houseplants permanently in the garden. If orchids have finished flowering, begin to fertilize regularly with a very dilute orchid fertilizer or use fish emulsion with every watering. Monitor closely for scale attack. Looking for more information about a specific plant? Visit the Plant Information Desk at the Garden, call the Plant Information Hotline at (847) 835-0972, or email us. Download our free smartphone app to help you locate plants when you visit.